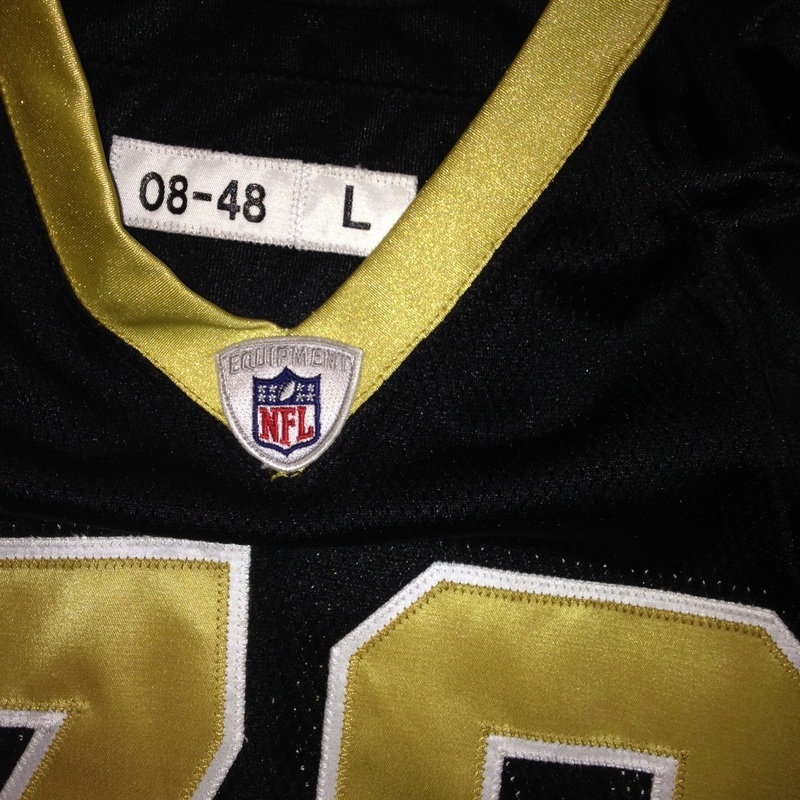 The Saints used layered twill numbers from 2001-2009. Two numbers sewn on individually and stacked on top of each other. 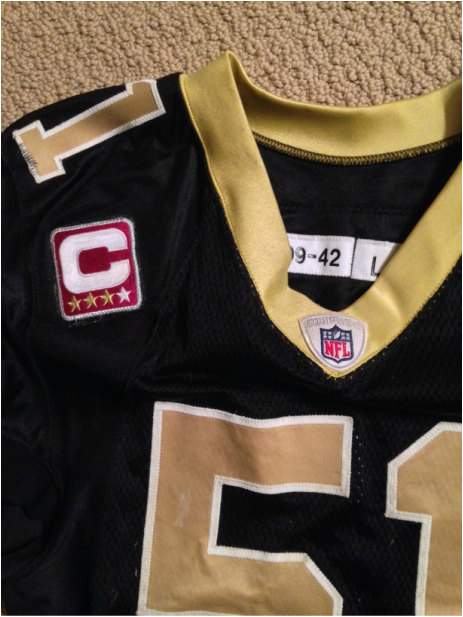 Starting with the 2010 Season, the Saints changed to a "Kiss Cut" where a thin border outlined piece of material is sewn around the edges of a single layer number. This made the lettering materials lighter and less rigid. The Saints also use older blank jerseys leftover from other seasons. Reebok after the 2011 Season. But was used by Anthony Hargrove during the 2010 Season. This Jonathan Vilma jersey below was acquired from the Saints by NFL auctions. It is tagged in the collar 09-42, for the year 2009 and size 42, but is registered in the PSA/DNA system as having been worn in 2011, and is photomatched to a 2011 game. As you can see, it also demonstrates the kiss-cut style the Saints equipment managers have used since 2010 for their numbering of blank jerseys. Below is a Jonathan Goodwin game worn jersey. It is tagged in the collar 08-48 for the year 2008 and size 48, it shows game use and came from the team, but I would not rule out it being used in either 2008 or 2009 Season, as recycled jerseys are just so common for the Saints, and they used this layered style of numbering in both of those years.